Are you sure you want to remove "DIY Indoor Herb Garden" from My Projects? 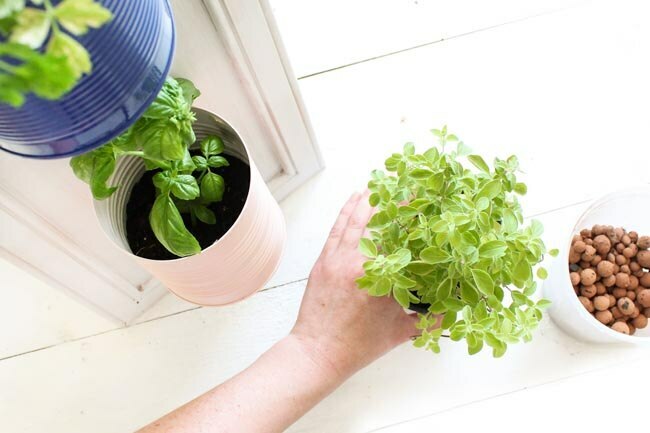 If you're limited on space and can't plant in your backyard, an indoor herb garden is the perfect thing to help you grow your own fresh ingredients all year long. This project is great for using up scrap material from previous woodworking projects and upcycling jars and cans from your recycling bin. You'll learn how to create a long, narrow planter with a few pots and wood trim as well as small single-pot planter with a removable glass jar. You can easily modify these designs to accommodate any number or sizes of pots. Change the orientation of the long planter to fill a vertical space on a narrow wall or position it horizontally above a high countertop to act as living decor. 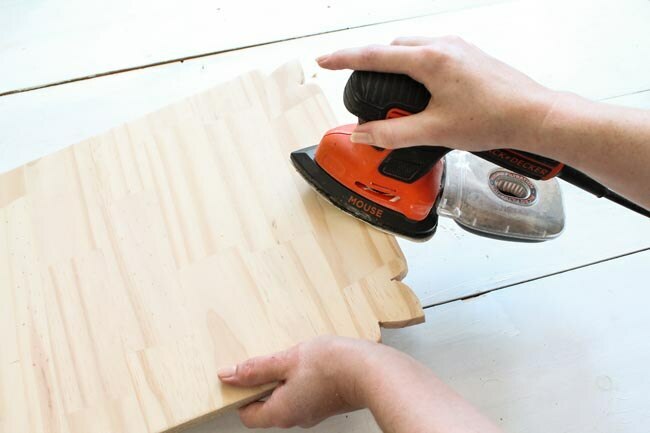 Cut the plywood pieces to size, if necessary, using the BLACK+DECKER 20V MAX* 5-1/2 in. Circular Saw. As shown, the long planter is 8 x 46" and the small planter is 12 x 16", but you can size yours as desired. Cut four pieces of trim to fit around the edges of one or both planter boards, cutting the ends at 45 degrees to create a rectangle resembling a picture-frame. 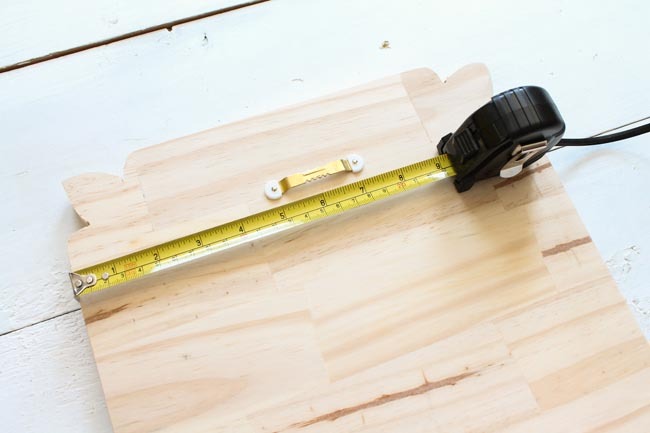 TIP: Mark the trim to length by placing two uncut pieces along adjacent sides of the plywood and marking where the inner and outer edges of the trim will meet when the trim is installed. Draw a line between the marks on each piece to create a cutting line. 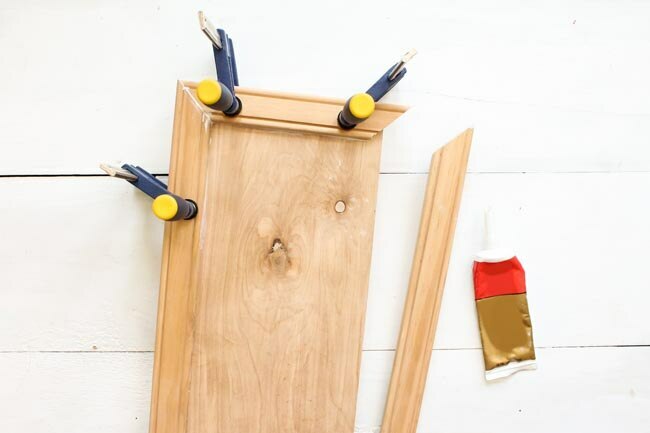 Apply a thin bead of construction adhesive to the trim pieces and position them on the plywood, fitting them together tightly at the corners so the frame is perfectly square. Clamp the trim in place and let the adhesive dry as directed by the manufacturer. If you don't have enough clamps to install all of the trim at once, install two pieces at a time. NOTE: before gluing and clamping any pieces, make sure all four pieces fit well at the corners. 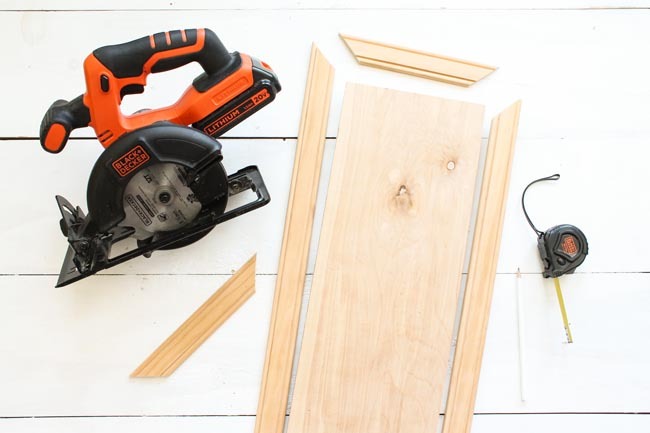 If you don't have any trim on hand, simply use your BLACK+DECKER 20V MAX* Cordless Lithium Jigsaw with a fine wood blade to cut out decorative corners from your plywood for visual interest. Draw a design along the corner of a sheet of paper, and cut it out to use as a stencil. 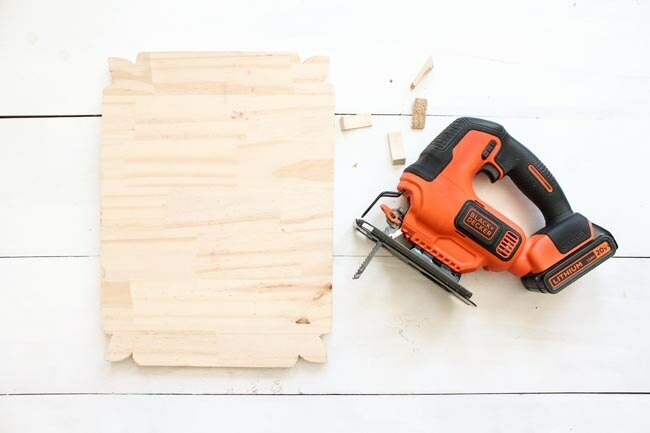 Trace the shape onto each corner of the plywood and use the jigsaw to cut out the shape. Sand all of your fresh cuts of wood with a 80-grit sandpaper to match the weathering of the reclaimed wood, as applicable. Use the BLACK+DECKER MOUSE® Detail Sander to reach inside the decorative corners and round out the edges for a rustic, worn look. Mark the center on the back of each piece of plywood and position a sawtooth hanger on the center mark, 2" down from the top edge. Secure the hanger in place by hammering in the tacks included with the hardware. Add color to your walls without sacrificing the character of wood grain by mixing your own light wash using an interior acrylic paint of your choice and water. 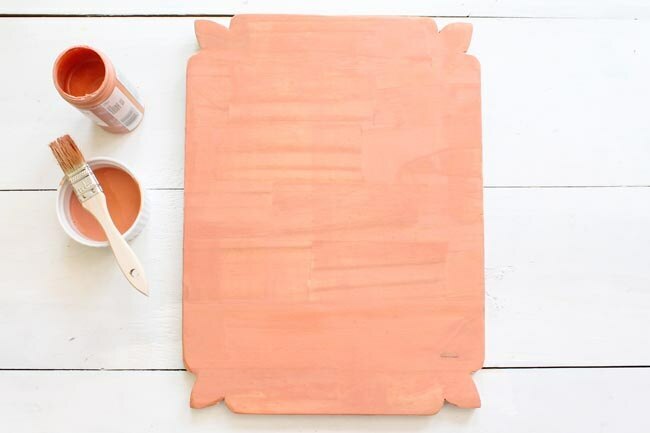 Mix 2 parts acrylic paint with 1 part water in a small dish and brush it onto the wood plaque with a clean paintbrush. We used a peach-colored paint. Once dry, the wood grain will still be visible and add texture to your finished planter. Alternatively, you can use a naturally colored wood stain and rub on a light coat of the stain with a rag to blend the freshly cut ends into the rest of the wood's aged patina. Follow the manufacturer's instructions for application and drying time. When the paint or stain is dry, hand-sand the edges of the wood with 100-grit sandpaper to enhance the rustic look. Remove the labels from the cans, as applicable. 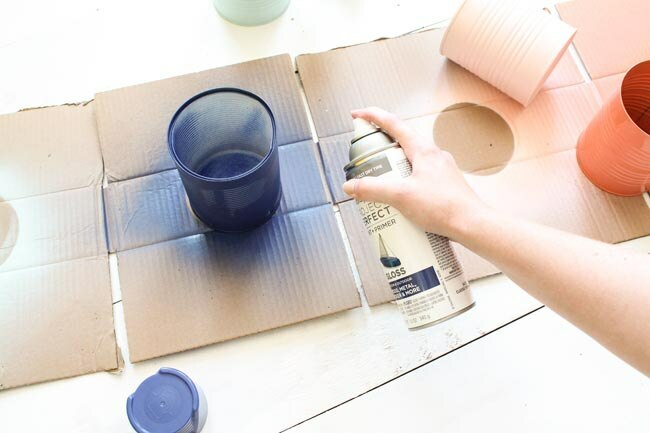 Paint the outsides of the cans with a few thin coats of spray paint in a bold color. Spray each can with a fine mist of paint, allowing it to dry between each coat, as directed by the manufacturer. Avoid spraying too closely or concentrating in one spot for too long to prevent messy drips. Allow the paint to dry and cure completely before moving onto the next step, as you don't want to scratch the finish. Position the cans on the plywood, spacing them to accommodate plant growth (in this example the cans are placed 7" apart). 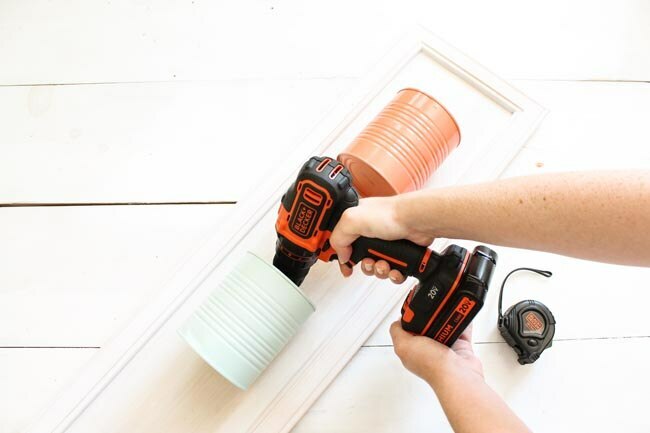 Using your BLACK+DECKER 20V MAX* Lithium 2-Speed Drill/Driver, drive a 1/2" screw through the top of each can into the center of the plywood. Prop up your planter securely against a chair or wall. Fill each pot with at least 1" of small gravel to promote drainage before planting each herb, along with additional potting soil, as needed. Water adequately to moisten the soil. Add more soil, if necessary, but keep the top 1/2" to 1" below the rim of the pot to help keep the soil from spilling out during watering. Large hose clamps are great for securing containers you can't drill into, like glass. Secure the clamp to the plywood by driving a 1/2" wood screw through the back of the clamp and into the center of the board. 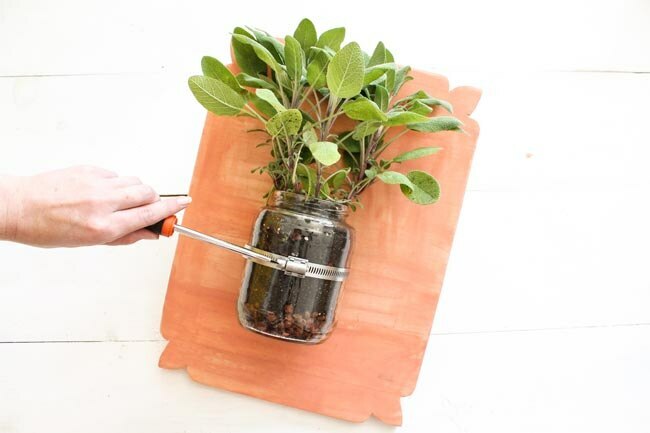 Slide your planted herb container into the clamp ring and tighten the clamp with a screwdriver to hold the jar in place. 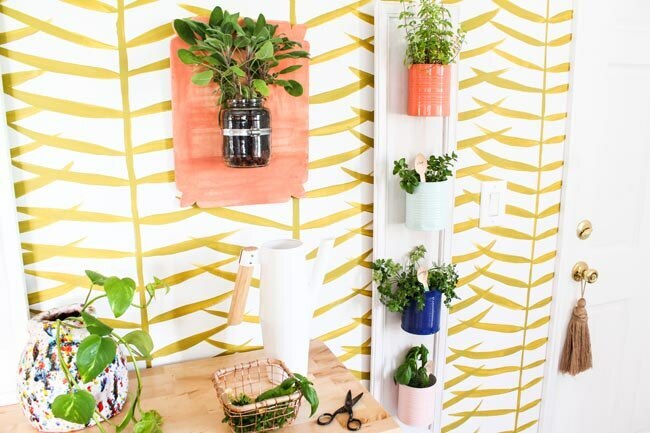 Choose a sunny spot for hanging your indoor herb garden. Mount the planters by simply hanging the sawtooth bracket on a nail or screw driven into the wall. Depending on the weight of your completed planter (which will vary depending on the type of wood and materials used and the size of the planter pots) you may need to install heavy-duty wall anchors to support the planters. If desired, label your herbs with plant markers.